He is Not There; He is Not Dead! Here are two Gospel accounts of the resurrection. Now Mary stood outside the tomb crying. 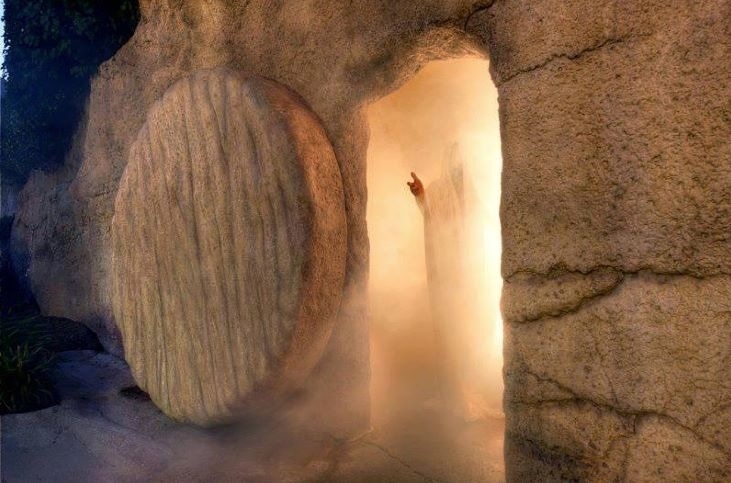 As she wept, she bent over to look into the tomb and saw two angels in white, seated where Jesus’ body had been, one at the head and the other at the foot. They have taken my Lord away,” she said, “and I don’t know where they have put him.” 14 At this, she turned around and saw Jesus standing there, but she did not realize that it was Jesus. Why does Jesus appear to Mary Magdalene first? According to Scripture, Mary was one of the few left at the crucifixion, supporting her Lord during his horrific dying hours. Mary also rose early to go to the tomb and care of His body. Her devotion to the man who had freed her from seven demons was evident. I wondered about Mark verse16:8, where it says that the women fled and said nothing to anyone. From what I gather, the three women fled. Mary Magdalene spoke to the disciples about Jesus’ body being missing and followed the men back to the tomb, but did not immediately say anything about the angel they had seen. Jesus Christ is RISEN and ALIVE at the RIGHT HAND SIDE of of our True GOD who art in HEAVEN, HALLELUJAH!! PRAISE Jesus Christ for Today and Everyday! !